Drink up with Jack Skellington's leading lady! 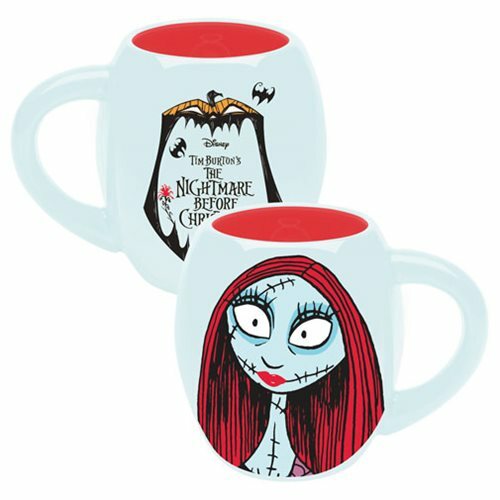 The Nightmare Before Christmas Sally 18 oz. Oval Ceramic Mug features a blue and red design with a portrait of Sally on one side and the film's title on the reverse. A great gift for fans of Tim Burton's The Nightmare Before Christmas. Measures approximately 6 inches x 5 inches x 5 inches. Ages 15 and up.